I am a firm believer that one should continue to broaden their musical horizons, no matter their preferred genre. The appreciation of music is really an appreciation of the people who create it. And, quite frankly, I think this world could benefit by a little more appreciation of people who are out of our “comfort zone.” So, I have created a list of what I consider to be the best jazz albums for those who have typically liked their jazz a bit more on the smooth side. There is nothing avant-garde here. Some of it is quite easy to listen to, even if you don’t think you like straight ahead jazz – e.g., Miles Davis, Kind of Blue; and Bill Evans Trio, Waltz for Debby (which I’m saving for the second half of this series). A few of these might stretch your ears a bit, but all are considered to be classic recordings. This is one record owned by countless people who don’t listen to jazz. There are good reasons for that: the band is exceptional, the tunes are approachable, and the solos are melodic and brilliantly developed. The lineup includes John Coltrane and Julian “Cannonball” Adderley on saxophones, Bill Evans or Wynton Kelly (depending on the song) on piano, Paul Chambers on bass, and Jimmy Cobb on drums. Coltrane’s penetrating tenor is juxtaposed against Adderley’s sweet alto, with Davis taking the middle ground between them. Evans and Kelly provide the harmonic bed, while Cobb and Chambers lay down the beat. The performances in this album are perfectly, but spontaneously, orchestrated and recorded in one take. Not only was there no rehearsal for the session, but Davis reportedly showed up to the studio without much in the way of written music – just some chords and melodic sketches. Released in January 1960, Giant Steps was John Coltrane’s first album devoted entirely to his own compositions. The landmark recording, often cited as Coltrane’s finest work, confirmed his daunting command of the saxophone (it is said that Giant Steps is the reason Sonny Rollins temporarily stopped playing in public) and his developing skills as a composer. Apprenticeships with Dizzy, Miles, and Monk had focused him. Coltrane’s energy was, in some ways, more controlled on Giant Steps. The “sheets of sound” that had distinguished his solos a few years earlier were now less frequent—perhaps due to the practicality of execution, even for Coltrane, at the insane tempos—and were offset by interludes of subtle lyricism. This lyricism is particularly exemplified in the tender ballad, Naima, which provides a calm refuge amidst the storm of fast and furious up-tempo tunes. Time Out not only features the first instrumental jazz tune to sell a million copies (Paul Desmond’s Take Five), but also captures the renowned quartet at the height of its popularity and creativity. Recorded in 1959 (weren’t all the great albums recorded in 1959?? ), Time Out joins together fabulous performances by pianist Dave Brubeck, alto saxophonist Paul Desmond, drummer Joe Morrello, and bassist Gene Wright. 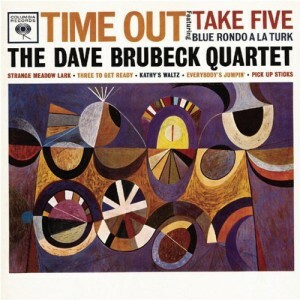 Along with Take Five, the album introduced what became another one of the band’s signature songs, Blue Rondo a la Turk. Though influenced by the West Coast cool school, perhaps Brubeck’s greatest contribution to jazz was the use of odd meters which, by the way, actually grooved in a very natural fashion. Much of the group’s appeal is due to Desmond, whose airy tone (he once quipped that he endeavored to sound like a dry martini), musical wit, and melodic improvisations carried the band’s performances to another level. Together, he and Brubeck proved one of the compelling twosomes of that era. Ok, so there is at least one album worthy of “the list” that wasn’t recorded in 1959! Taking you all the way back to 1958…when alto saxophonist Julian “Cannonball” Adderley chose his supporting cast for this project, he couldn’t have selected a more diverse group of musicians: Miles Davis, the king of cool; Art Blakey, the thundering voice of hard bop; Hank Jones, a veteran of swing; and Sam Jones, the ever-adaptable bassist. 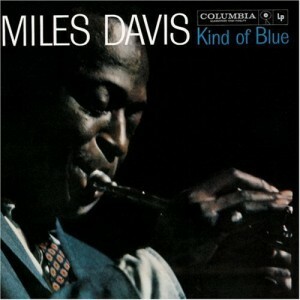 The results are one of Blue Note’s most enduring albums. From Autumn Leaves, reminiscent of Kind of Blue and featuring Davis beautifully stating the melody on muted trumpet, to the mid-tempo title track, the centerpiece of this classic recording, this is truly a must-have Blue Note album. 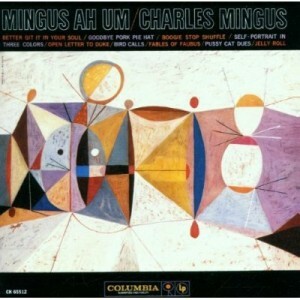 Legendary bassist and bandleader Charles Mingus was signed to Columbia Records for a very brief period in 1959. His Columbia recordings, however, were arguably some of the greatest in jazz history. What one will notice from the album’s first track, Better Git in Your Soul, is that this album is full of energy. On the lyrical end of the spectrum, Mingus Ah Um includes the beloved Goodbye Porkpie Hat, a beautiful tribute to saxophonist Lester Young, who died just two months before it was recorded. What really makes the album so interesting is the incredible contrast. The album seems familiar to the listener because of easy-to-hum melodies and simple 12-bar-blues structures like Boogie Stop Shuffle (which features the tenor sax of Booker Ervin), but also challenges your ears with often unsettling and disharmonic horn lines. Other classics on the album include Fables Of Faubus, and Jelly Roll, which continue to sound vibrant and fresh fifty years later. There you have it: Part 1 of my list of the best jazz albums for smooth jazz lovers! Go stretch your ears a bit, and come back for Part 2.